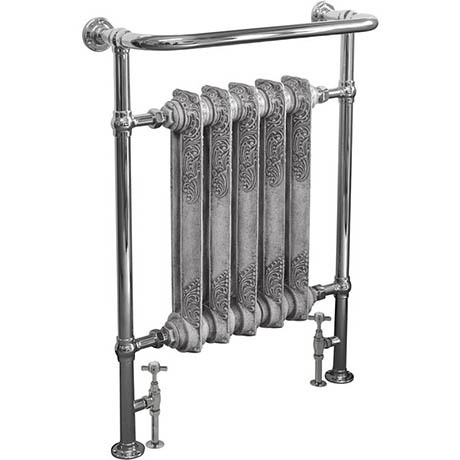 The Helmsley is a classically elegant towel rail inspired by Victorian designs. Constructed from high grade steel with and integral cast iron radiator section, the Helmsley offers increased heat output and can also be used as dual fuel. The inserted cast iron section can be painted in your choice of colour. Please note the cast iron radiator comes supplied unpainted. We will contact you once your order is placed to confirm which colour you require. View available finish options in product additional images.